Julius Caesar was born on July 13, 100 BC. He was a very powerful leader that rose to power in 59 BC as consul. 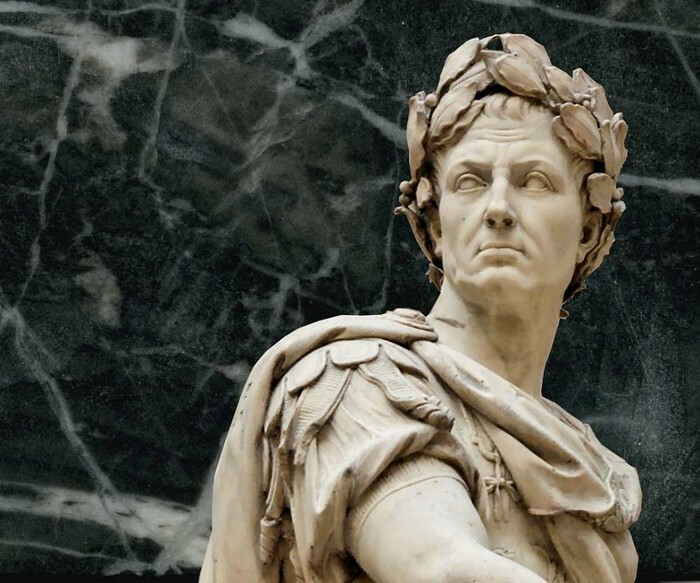 In 45 BC Caesar overthrew the Republic and became the dictator of Rome. He conquered many lands and formed a massive empire throughout Europe, Asia, and the Middle East. Having all of this power made some people unhappy, whether they were friend or foe. Eventually people were tired of Caesar abusing power and they decided to do something about it. There were 4 people that were considered the main conspirators. They included: Gauis Gaius Trebonius, Decimus Junius Brutus Albinus, Gaius Cassius Linginus, and Marcus Junius Brutus. The men met in small groups with other anti-Caesar supporters. They knew Julius was to leave on March 18 for a military expedition so they had to strike quick. 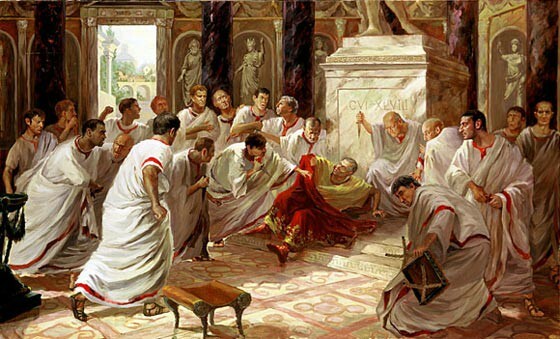 The men had many options of where to attack the noble Caesar but the final decision was during the Senate meeting days before he left. The date is March 15, 44 BC. Julius Caesar is on his way to a meeting with the Senate and death. He was warned by his friends that they had heard rumors of an assassination attempt but Marcus Brutus convinced him that it was nonsense so he went anyways. Also on the way there, Caesar was handed a note that told him of what was to come but Caesar neglected to read it. When Julius arrived his body guards had to remain outside which left him vulnerable. He walked in and was on his way to his throne-like chair when a man named Cimber grabbed Caesar by his toga. At this time, another man named Casca attempted to stab Julius. Caesar caught his arm and said," Casca, you villain, what are you doing?" Casca then called for help and the Traitors rushed him, daggers in hand. They stabbed him a total of 23 times (only one of the blows were fatal) leaving him bloody and dead on the floor. The witnesses ran out and told everyone of what took place. People were confused and in the following years many civil wars broke out. The rule of Caesar was over. I find this quote ironic because the rich men of the senate are the ones who killed him.